There are many things we can do, while listening to a song, to help us get a good idea of how it can be played on the guitar. By careful listening, sometimes repetitively to a specific area and other times to the whole, we can quickly determine things such as the song's key and time signature, strumming/picking patterns (or fingerstyle patterns), the form (ie. : Intro, Verse, Chorus, Verse, Chorus, Bridge, Solo, Chorus, Outro), lyrics, scales used for leads, and various other ideas happening in the recording. Many people believe that playing by ear is a skill either in your genes or non-existent - not true! It is true that some people possess particular individual strengths, just as in peoples' lives not pertaining to music, but this is not at all to say that learning to play by ear is only for a select, naturally-skilled few. At the same time, it isn't fair to oneself or to others, to spend too much time comparing - time spent practicing and improving is much better! - During guitar lessons, working with recordings and by using a collection of hundreds of tabs/manuscripts of songs which I have written out for my students, we learn to play in the style of the song, learning also the particulars of the guitarist on the recorded track. 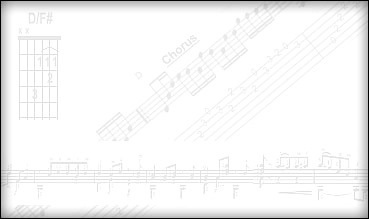 - If I am transcribing a song from a recording, I usually find it useful to first get a good idea of the entire form (Intro, Verse, Chorus, etc.) before figuring out the licks used. I will either memorize the form, or jot it down on paper after a few listens through the entire tune. Having done this, I will already have many song parts in my head, including areas mentioned above. Learning the entire form first, is similar to zooming out of a road map before jotting down the specific directions when travelling. It is often important to grasp, or "hear" in the case of playing by ear, the whole before learning the parts. - Singing the bass line is extremely useful in figuring out the chord progression, as well as applying the idea of "harmonizing the scale" - this concept, while needing a bit of music theory study to fully grasp, is crucial in being able to quickly hear chord types and progressions happening during a recording - used commonly by musicians in many styles and genres. - Know everything about the song. If you study and listen enough, you will know its drum parts and digitalized sounds/effects. Unless it is an instrumental, know the lyrics even if you're not singing. They tell a story which the music's mood is set to stage. The lyrics also pointedly mark each part of the song's form. Actually, with your favorite music, you probably already have the sounds of these areas memorized, possibly just not associated with terms such as "riff, bridge, chorus, major, minor, diminished, etc.". Proper technique in sports, art, writing and many other activities which require specifics that necessitate us staying within a particular form is essential. The same is true when playing a musical instrument. In playing the guitar, we learn about the importance of certain excercises and studies to keep our hands and minds in good form and we integrate these into a practise schedule. While time and work is essential, there are shortcuts to being proficient on the guitar which, if studied, repeated and put to use, help the student to progress quickly, the result being more time being spent on finer works and approaching technical areas in any style/genre with more ease. Soon after learning the basics, we can begin to discover true musical gems written for the guitar. These pieces are a reflection and expression of people, life and art through the centuries herein. Available to the practising, studying, and/or performing guitarist, the amount of published music is stunning, thanks to the number of composers who have taken advantage of the publishing industry throughout this portion of our history. Within each of these historic periods are various sub-categories and stylistic preferences, expressions and personal artistic tastes, discovered when we dedicate our time, minds and efforts to these beautiful pieces. Using a "fingerstyle" method or approach means that we can learn to play a melody, bass line and other accompanying parts all at the same time. Although this has been for centuries more often utilized by classical guitarists, it is becoming more popular, due in part to a few famous players currently touring and recording. The studying guitarist can learn to choose a bass line and other accompanying parts to add to melodies, then producing a piece of full texture. During the writing and technical processes, the student learns new ideas concerning harmony, rhythm and style which are valuable to a deeper understanding of the construction of music. After learning to read and play in the first position (the first four frets of the fingerboard), with guidance the student can explore tunes to successfully arrange. • Guitar lessons in genres ROCK, BLUES, CLASSICAL, FINGERSTYLE, FOLK, and others. • Royal Conservatory of Music exam preparation available (classical guitar students - all grades. digital effects used, if any, meticulously analyzing all details of the piece (many genres covered). • Using a FINGERSTYLE method, learn to arrange songs and melodies for the solo guitar. • Learn to study and read guitar music from manuscripts (sheet music), chord charts and tabs. • Learn how to play solo guitar music from the repertoire of the art music historic PERIODS (info). by composers such as Mauro Giuliani, Francisco Tarrega, Pujol, Abel Carlevaro and many others). • Learn the necessities concerning proper instrument care, string changing and maintenance. It is exciting that in taking lessons to play the guitar (classical, fingerstyle, popular, electric, acoustic, etc. ), after just a few weeks we can be able to play music! With practise at home during the week between lessons, guitar students can enjoy the sweet sounds, fun rhythms and colorful tones while they play melodies, first position chords (chords within the first four frets on the guitar neck) and scales, the type of which are dependent upon the musical genre we choose to study and all of which can be utilized in excellent technical exercises and for improvisation. So, when we are studying the guitar, we learn to have a good mix of things to steadily work on, amongst them pieces of the Western European art music historic periods (if we choose to study the classical guitar), tunes from recordings (if we choose to learn popular styles), studies, exercises and a few scales (too many can become a bit boring while just the right amount helps our progress, especially if they are related to the music we play in discussions during lessons; important in all styles). All of these areas are important to expect or have explained (by the guitar teacher) when beginning to take guitar lessons because they are the basis for a well-rounded study of the instrument. The goal of being able to play beautiful music on our guitar as soon as possible is most easily accomplished when we have a program in place which facilitates the many necessities which help us to have fun playing guitar while gaining a thorough understanding of music. It is mostly a matter of squeezing the tree: As is most of the guitar, the neck is made of wood, and it is not often in day to day activities that we squeeze a tree, while creating intricate movements between fingers! Yet, concerning the left hand, this in part is what is required of the student when learning to play the guitar. The initial awkwardness is overcome with careful attention to material covered during the first few lessons, self-reminders during practise and lessons to keep the left hand relaxed while fretting notes/squeezing the guitar neck, and in playing a few specific exercises and repetitive motions which loosen tendons, promote familiarity concerning left and right hand distance judgment and boost confidence in the guitar student as he/she gains a physical sense of what is required to play and practise the guitar. Without going into excessive detail, the main thing is to stay as relaxed as possible while having to squeeze the 'tree piece' and move the fingers freely. Whether the student chooses to take guitar classes in classical and fingerstyle guitar, or popular styles which require the use of a pick in the right hand, from the beginning of our first few lessons we learn how to keep our hand/arm/shoulder/entire right side in a position that enables us to be ready and close to the strings in a relaxed way. The key is to always remember how effortless it is to produce a tone from each string. While at times we may think that tightness and a hard-work attitude is necessary in the right hand, at the same time we can try to produce a tone while "brushing by" or just "slightly leaning into" the string(s) and we will find that the same full tone/sound will be produced with close to no effort. This is crucial because the effort is better saved for other things anyhow, such as thinking about what is coming next in the music, listening to our overall sound, thinking about how we are going to end the piece as we are four measures away from the final bar or deciding on a scale we may use when our turn to solo arrives. None of these things can be carried out or thought about while we play if we are tiring ourselves with over-squeezing or a "tight claw" right hand approach. For beginner and advanced guitarists alike, repetition of a tiny, chosen idea makes a world of difference: It stands to reason that the more specific (and simple) the idea or technique we are practising, the more we will progress - right? The thing is, we first have to dissect what it is, the tiny thing/technique that, once practised and having become fluid, helps us to achieve a sense of ease and coincidentally more enjoyment with the piece or genre with which we are spending much time learning. Is this a purpose of the teacher? Yes! I have always found it useful, both for myself and my students in learning to overcome certain technical difficulties, to constantly detract from the 'bumps in the road' the problem at hand. The goal is to be able to play beautiful guitar music and anything that we can squeeze into our daily practise routine to help us achieve this is to our benefit. Also, over time the student should learn independently to analyze the trouble areas in a piece or in overall playing so that he/she can create short, repetitive exercises which help overcome and therefore make playing more fun. A tiny idea created because of a problem can be played and repeated during the warm-up routine or somewhere else in the guitar student's schedule, the most important thing being that it is repeated, with focus, for a certain amount of time. This idea is similar to many repetitive motions used in sports, repeated not for the purpose in and of themselves, as in a hockey practise, with the goal not being just able to skate to the blue line, stop and then come back, but to build muscle tissue, grow necessary respiratory material, stop rapidly, gain endurance, etc.. The team practises this for a certain amount of time, every time they meet, with the hope of having the skills and physical preparations necessary for the game. Whether we are learning to play the guitar from scratch or if we are quite advanced, these very specific ideas help us to move on to play our beautiful pieces with more ease. For guitar students choosing to study the classical guitar, these graded books are an excellent way to get a taste of Western European music dating from the Renaissance period to the present. In studying "classical" music on the guitar, or on any instrument for this matter, playing music from all of the periods gives us a great insight into period-specific styles, cultural considerations, individual compositional colors of particular composers and even fascinating social-historic situations as we are likely to learn about a few things non-musical as well when delving into history lessons. To have pieces by most of the important solo guitar music composers in one set of books, each of them graded from elementary (can be played within the first year of study) to advanced (equivalent of difficult concert and university music department repertoire), is an advantage well worth taking part in. Each of the graded books are cheap, between fifteen and twenty dollars, and they are available at most sheet music or musical instrument stores. During the past few years I have had the chance to see students learn and enjoy tens of pieces in the repertoire and thus I have an opinion that it is a beneficial collection to a classical guitar student at any level. R.C.M. Examinations: There are opinions both ways in this area because while some folks enjoy the idea of being adjudicated (performance-graded), in a fairly formal setting by a professional, others find it to be unnecessary and a bit 'stuffy'. My view as a teacher is that these exams, at all grade levels, are a great way to apply oneself to a program with an exact curriculum, having included areas such as repertoire/pieces from all of the historic periods, studies, scales and technical exercises, and ear training. Also, each grade level is well displayed and described in a published R.C.M. Syllabus. At higher grade levels (5 and up), co-requisites of theory and history are required. In my experience as a guitar teacher, the examination process is positive if the student is well prepared, a readiness accomplished both in weekly guitar lessons as well as at home during individual practise. When we are ultra-rehearsed for a musical performance of any kind, it is almost impossible that a negative outcome be the result. This is true of all musicians, from Jimi Hendrix to serious symphony orchestra players (who often times have runs of rapid notes in their pieces longer than imaginable!). So, after students have been playing the guitar long enough to have learned a few pieces of the different historic periods in the grade one book, which is easily accomplished within the first year of study, we can discuss during our lessons whether or not to go the route of preparing and playing for an exam. This is a combined decision to be made between the student, parent and myself. During guitar lessons in folk, rock, blues and other popular musical genres, ear skills are equally (or more) important as reading skills in becoming a proficient player. While we learn to read from tablature and manuscript, we also learn to hear 'by ear' the chord changes, forms, licks/riffs and keys in the recordings of the songs we are learning to play. At all levels, this is a concept - learning to play by ear, that is not only for the prodigies or those born into the elitist group of perfect 'pitchers' (no pun occurring or intended! ), but it is also for students wishing to learn to play songs, from Neil Young to Jimi Hendrix to John Mayer. Put simply, if we can hear the difference between a train horn and a fog horn, there is nothing stopping us from hearing the mood change created when playing a major chord followed by a minor chord. It is true that complex and maybe subtle sound differences and chord changes are difficult for a beginner to distinguish, but with practise, starting with basic ideas and harmonic sounds, we can learn to relate what we are hearing to the guitar. Then, through experimenting, and there are no wrong notes when experimenting, we gain confidence when we translate the sounds, chords, melodies and riffs to our guitar. The key is practise, practise, and yes, just a little more practise! When I transcribe for my students a song from a recording, I teach them a combination of reading, listening, technical ideas, necessary chords and scales for rhythm playing/solos and riffs, as well as overall forms (music is similar to poetry in form, so for example a form such as "A B A B C A B B" would mean that the structure is verse-chorus-verse-chorus-bridge-verse-chorus x2). I have found it to be important to learn more than one song by a given recording artist so that we can gain a deeper sense of style and personality from his/her approach to the instrument and the music. Also, for things to really 'soak in', this is necessary because guitar players and songwriters all have unique ways in their approach to form and every other possible musical idea so the more music of one artist we learn to play and groove to the more we are influenced personally in our own style. Is learning to play the classical guitar the best option for beginning students? The right hand technique involves plucking the strings with our fingers/without a pick, while in the left hand we learn to stretch laterally across the neck. This is a span which helps us to play across a broader range of the neck. 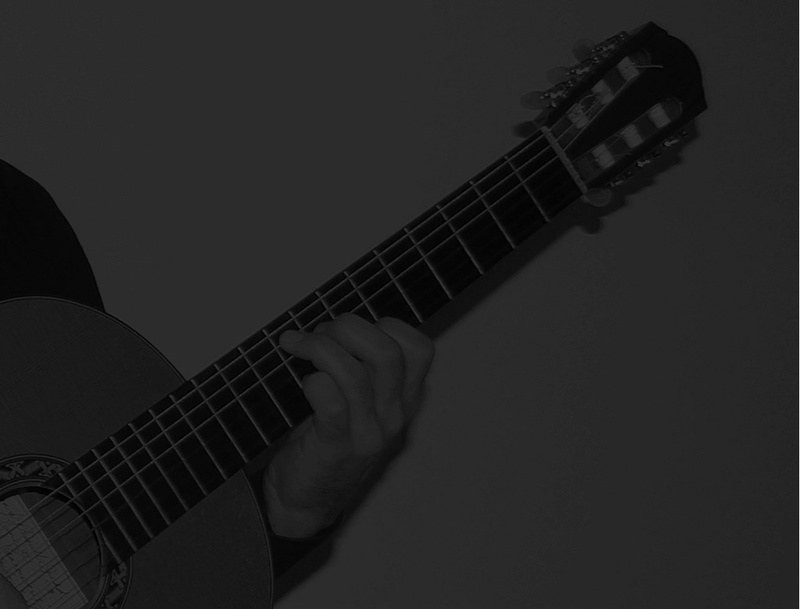 Regarding tone production, the classical guitar student learns to approach, pass by and release the string with the best possible angle and amount/efficiency of force to produce the fullest, most beautiful tone possible. Briefly concerning musicality, the student learns in lessons all of the musical qualities which make a piece musical and beautiful. Pieces by the various composers have particularities which are historic period-specific, composer-specific, sensitive to nationalistic preference and reliant on various other factors which differentiate one style or composer from another. Many people have the opinion that this genre is the 'best of all' because it has many institutions backing it (university music departments, music conservatories, a publishing industry/pedagogy several centuries old, etc.) and also because the repertoire itself contains works so beautiful that they are beyond description (most true beauty cannot be described in words). Is this 'better' than Hendrix, Pearl Jam, Robert Johnson, Charlie Parker or Elizabeth Cotton? No. Does it technically prepare the student for playing music in a variety of other styles? Yes, with the exception of playing with a pick, because with the classical and fingerstyle, guitar we play with our fingers only. It is partly a myth that if a guitar student learns to play the classical guitar well, then he/she will be able to "play almost anything". For example, if a player has great classical technique and in taking lessons to learn to play this genre he/she has focused on ear playing as well (an area utilized almost exclusively in other styles), playing by ear in another genre can still be quite different in many ways. Rhythms, scales for improv., chords and chord progressions, along with other factors change when we move from one musical genre to the next. Therefore, from a technical stance, the statement may be true, but it is not fair to compare one genre to the next in terms of superiority, which is to compare people, culturally. In essence, different genres/styles of music are deep expressions of different peoples. I am asked about this disussion, often by parents of new students and it is fair to mention the importance of sticking to a maximum of just one or two genres. It takes time, reflection and study to really grasp and musically feel what is truly happening in a piece, let alone a style or entire time period. Have patience, work hard - you will have success and play great pieces with continued focus. When you study a genre of choice, you dig aesthetically into culture, ways of life and history through the route provided - the beauty of the composition. • More information on learning to play popular music on the guitar will be provided soon. • Neglect the easy parts: In a given piece, find the most difficult parts, measures, sections, rhythms and/or required techniques and play them alone, repetitively, for 15 to 20 times (80-100) is better. Do this every day with all of your pieces and after you have worked through these problem areas, try the piece from the start to the end with no stops/at a steady, even tempo, or the closest thing to it if possible. If this is not possible, a few more days or weeks of this routine/idea is necessary. When practising, the best musicians intentionally neglect the easy parts. • Repeat with detail: Remind yourself that the rote-repetition required in beginning playing the guitar and learning to play techniques and pieces of higher levels is a necessity and not an option. It is not unlike any other of life's tasks. If you continually focus on the fine details in your overall sound/tone, boredom will be much less of a problem when playing useful, repetitive practise ideas. It is the same for beginners and advanced players alike. Furthermore, oftentimes when a musical passage we are practising becomes mundane, it is not because we have played it too many times, but rather that we are not focusing on the specific goal at hand. Always focusing on perfecting an expressive or technical detail keeps things interesting and should be the only purpose of repetition. Repetition for the sake of itself is like circling the parking lot several times after you've arrived at the market! • Metronome: Use a metronome when playing scales and after you are familiar with the genreal technique of a piece (think about rubato later). We groove to music because of the constant beat/pulse! • The bigger picture: Right from the start and throughout the process of learning a piece, think about what it is saying: Is it telling a story? Does it draw a picture? Is it impressionist? Is it more about the beauty of color than the shape of a melody? What is the mood of every phrase? Where are the questions and answers within each phrase? Are there moments of suspension where phrases are pro-longed for the sake of color, harmonic elaboration and experimentation? Can you relate the phrasing of the piece to that of a conversation? Not unlike in a novel or movie, are there different characters (literally!)? • Learn the notes and then.....Search for markings on the page or use your phrasing knowledge (one of the student's goals is to recognize the expressive necessities of a piece, whether they are hinted at on the page or not) which will help you make the piece more expressive and beautiful. Solo guitar music is just that - solo. There are no stage lights, explosions/fireworks, accompanying drums or other instruments, or .5 second flashing scene changes as in a music video. All of this is already in the composed music, so to create excitement and beauty we have to "dig a little deeper" by experimenting with dynamics, tempo changes, rubato, vibrato and tonal color varieties. Guitar students at all levels are capable of making a solo guitar piece very exciting by researching, practising and performing using these expressive necessities. These are what make a piece truly come to life.